Anniversaries – every day's a holiday! 555 years ago today a young soldier by name of Hasan from the small town of Ulubat in what is now Bursa province, Turkey, changed the history of the world. 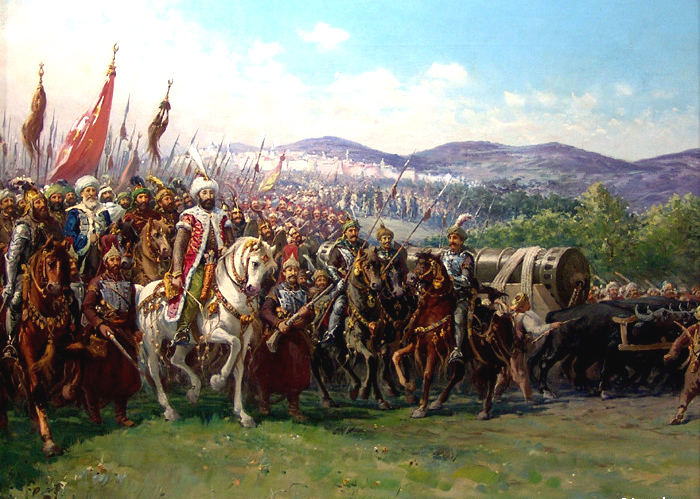 Hasan was a member of the Sultan Mehmed II’s elite cavalry force during the Siege of Constantinople in 1453 AD. Preparations for the siege had begun in late 1451 when the Sultan built a fortress on the European side of the Bosporus, north of the city. There Sultan Mehmed commissioned a Hungarian named Urban to design and forge the latest craze in weapons of mass destruction. 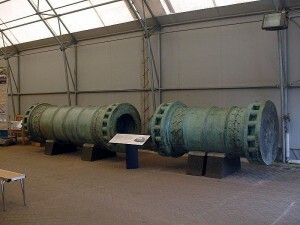 The ‘Great Turkish Bombard’ was the world’s first supergun, an enlargement of a Chinese weapon that used gunpowder. At 17 feet and weighing over 20 tons, Urban’s Bombard could shoot a 680 kg granite projectile over a mile. It took 60 oxen and 400 men to move each one. Urban originally offered his services to the Byzantines, who were unable to afford him. He took his business elsewhere, to the Sultan, who gave him unlimited funding to create a device that could bring down the “walls of Babylon”. 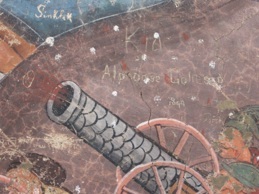 Each Bombard took three hours to reload. But shot by shot, over a matter of months they broke through the walls of the city that was once declared the new Rome. Walls that were originally built by Constantine, fortified by Theodosius, and which for 1000 years withstood attacks from the Avars, the Persians, the Arabs, the Rus’, and the Bulgars. On the 28th, as the Ottoman army rested for the final attack the last Byzantine Emperor held a religious ceremony in the Hagia Sophia Church. At midnight the Sultan ordered the attack. One of the first of those to make it through the impenetrable walls was the aforementioned Hasan of Ulubat. He carried a sword, but would be remembered throughout history for what held in his other hand. In the midst of battle, Hasan became the first Muslim ever to hoist a crescent banner atop the 1000 year-old Christian city’s walls. 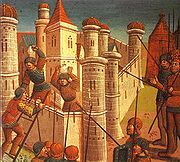 The sight of the flag spurred on the invaders and hastened the collapse of the city’s defenses. 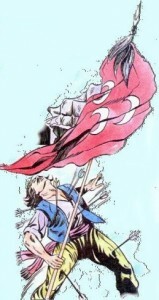 During this last act, Hasan was struck dead by 27 arrows, but not before his fellow soldiers broke through and held the flag. Constantine XI, the last Byzantine Emperor, is believed to have been killed in the attack. 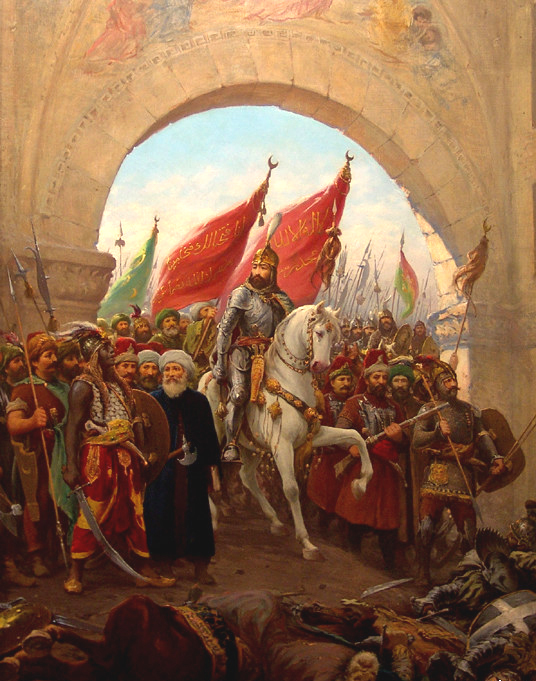 Sultan Mehmed II assumed the Byzantine title of Caesar, and the Ottoman became the undisputed ruler of what was now undoubtedly an empire. Istanbul, as it’s known today, is the city that spans two continents. And no, it wasn’t Mehmed who changed Constantinople to Istanbul. The Ottomans continued to call the city “Konstantiniyye” (City of Constantine) for hundreds of years. 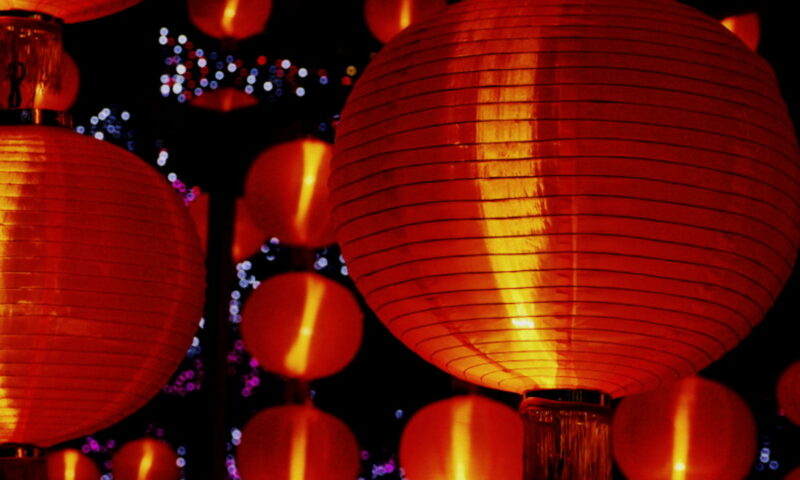 But the mesh of multi-cultural locals called it by another name. Istanbul is a morph of the Greek “is tin Poli”. Just like New Yorkers and San Franciscans call their hometown, Istanbul means simply “the City”, or “to the City”. The name wasn’t officially adopted by the Turkish Postal System until 1926. …she’ll be waiting in Istanbul.